We're Your Forklift Operator Safety Training Experts! 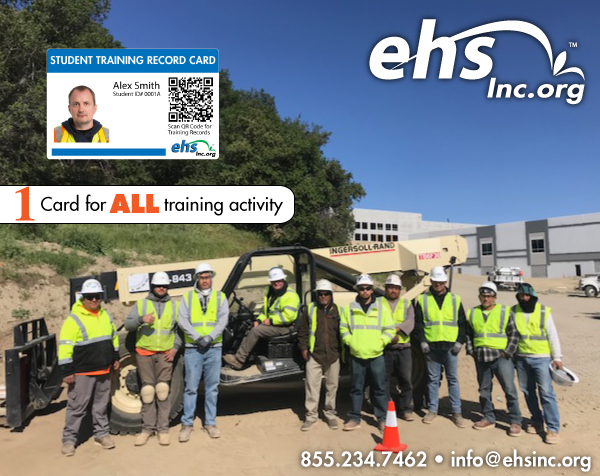 Need your employees certified and trained to operate your forklifts? 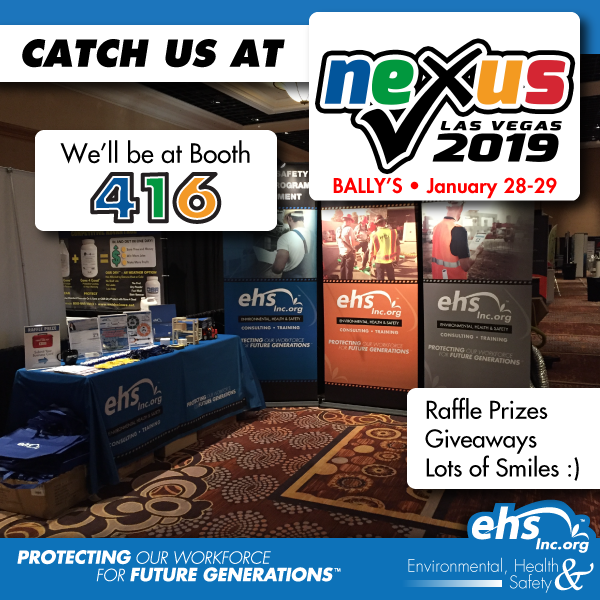 Look no further - We are your safety experts! Our forklift operator safety training course covers all of the seven (7) classification type forklifts, including the classification VII variable reach rough terrain forklift as shown above. OSHA fines were just increased - Don't get caught operating a forklift without being certified! Give us a call today to schedule your next class! Interested in becoming a Certified Bio Recovery Technician? We have the course just for you! 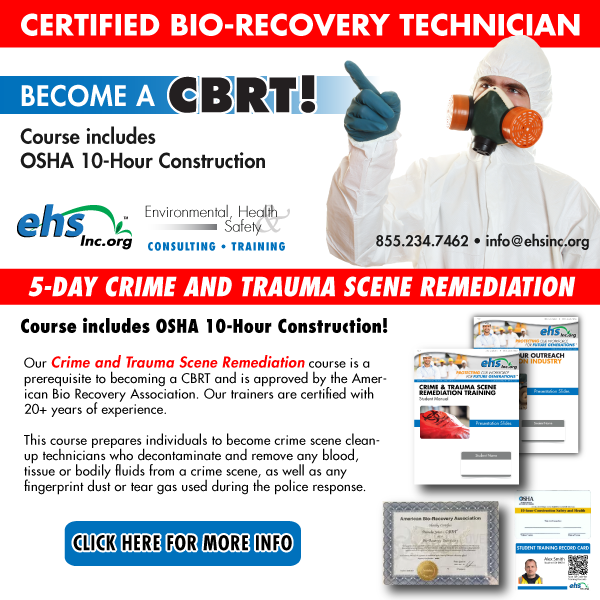 Our 5-day Crime and Trauma Scene Remediation course will help you meet the requirements needed to take your CBRT exam. Heck, we'll even throw in OSHA 10-Hour Construction training! The course is led by certified trainers with over 20 years of experience. The course deals with biohazard abatement for employees of crime scene cleaning services and prepares individuals to become crime scene cleanup technicians who decontaminate and remove any blood, tissue or bodily fluids from a crime scene, as well as any fingerprint dust or tear gas used during the police response. We combine lecture with state of the art virtual reality walk-throughs and hands-on practical exercises. 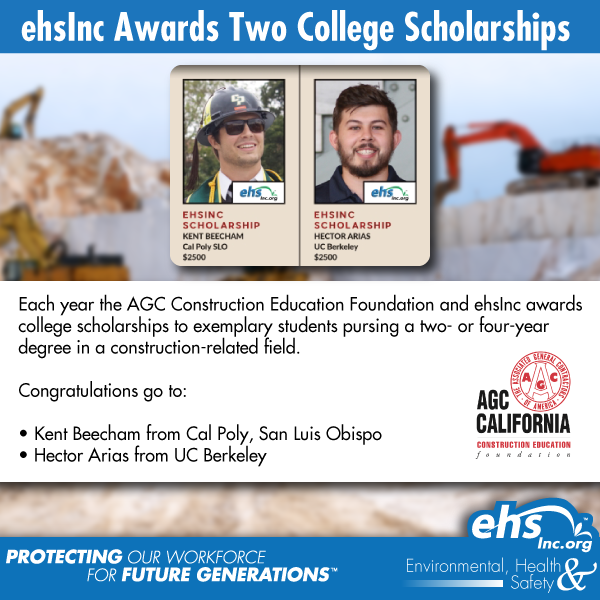 Congratulations to our two ehsInc scholarship recipients! Our future generation in construction still need you however. 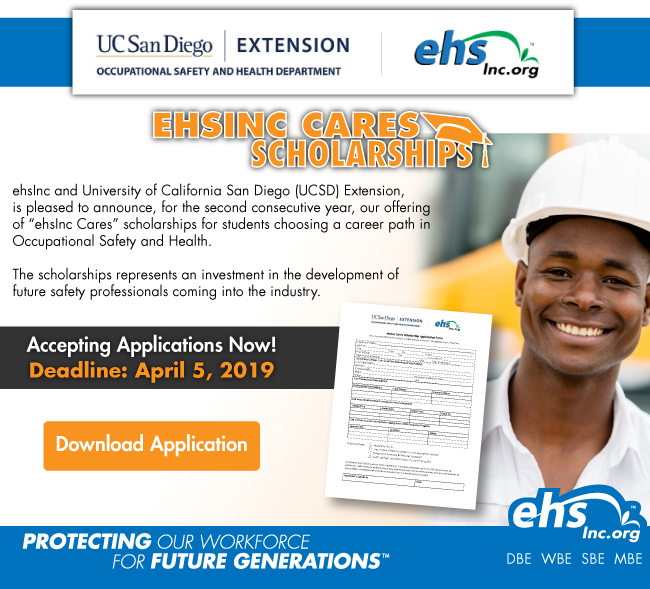 Please help solve the current labor shortage by donating to the AGC of California Construction Education Foundation. Your donation goes directly into the scholarship funds.